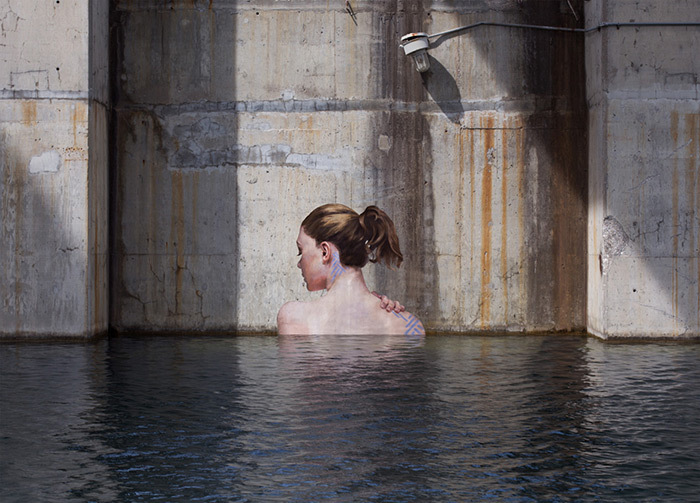 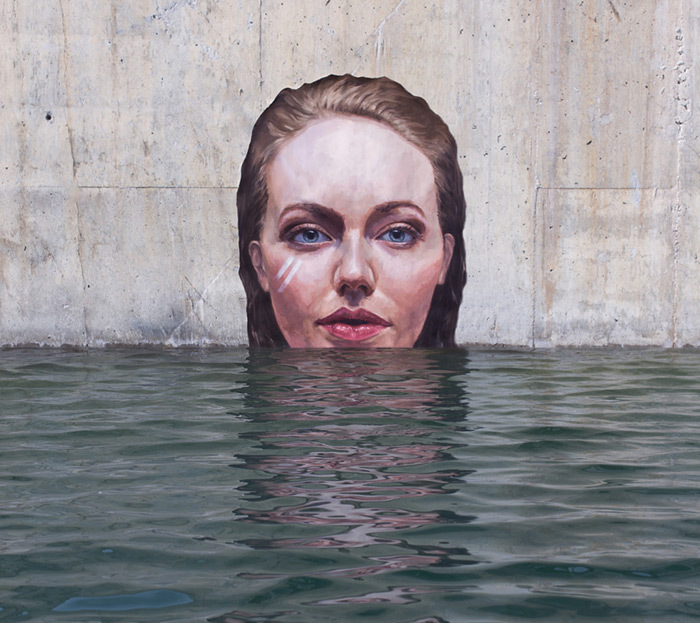 Two new paintings of women emerging from the water by New York-based artist Sean Yoro (known by his artist name Hula). 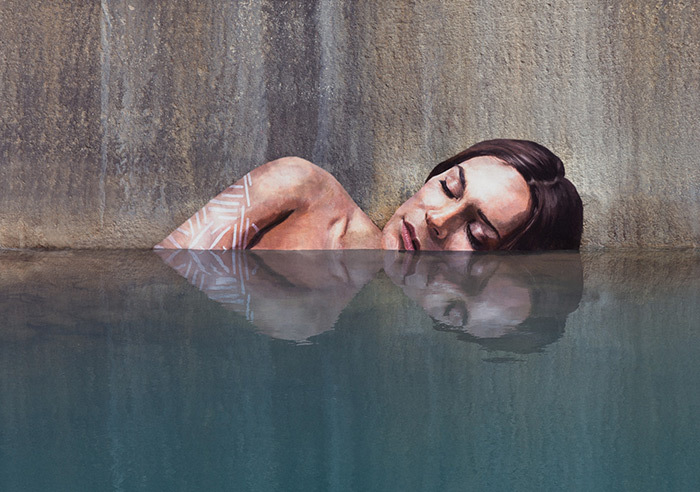 Yoro paints these figures, with tribal markings on their bodies, right down to the waterline while balancing on a paddleboard. 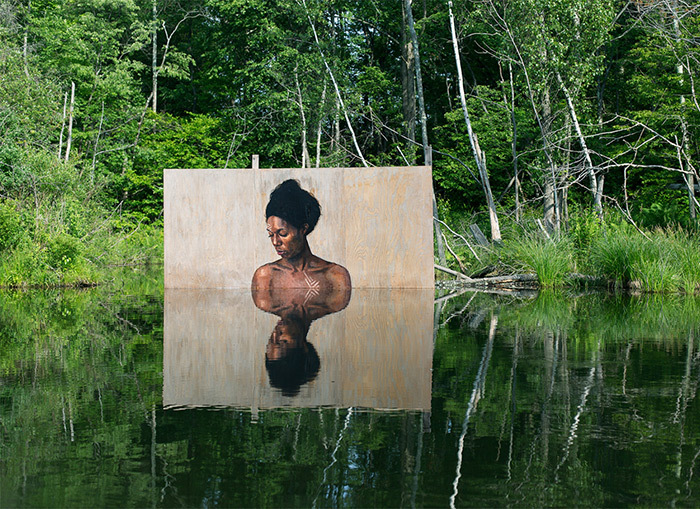 The artist paints for hours at a time as he creates these lifelike images on dilapidated constructions leaving visitors with a pleasant memory. 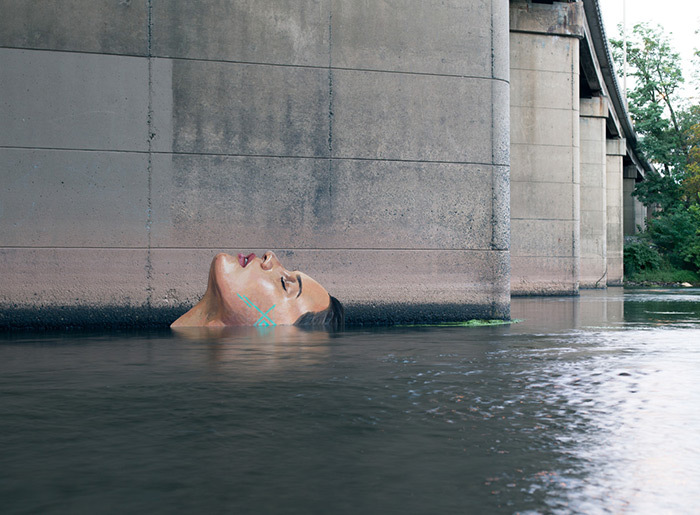 Two new paintings of women emerging from the water by New York-based artist Sean Yoro (known by his artist name Hula).